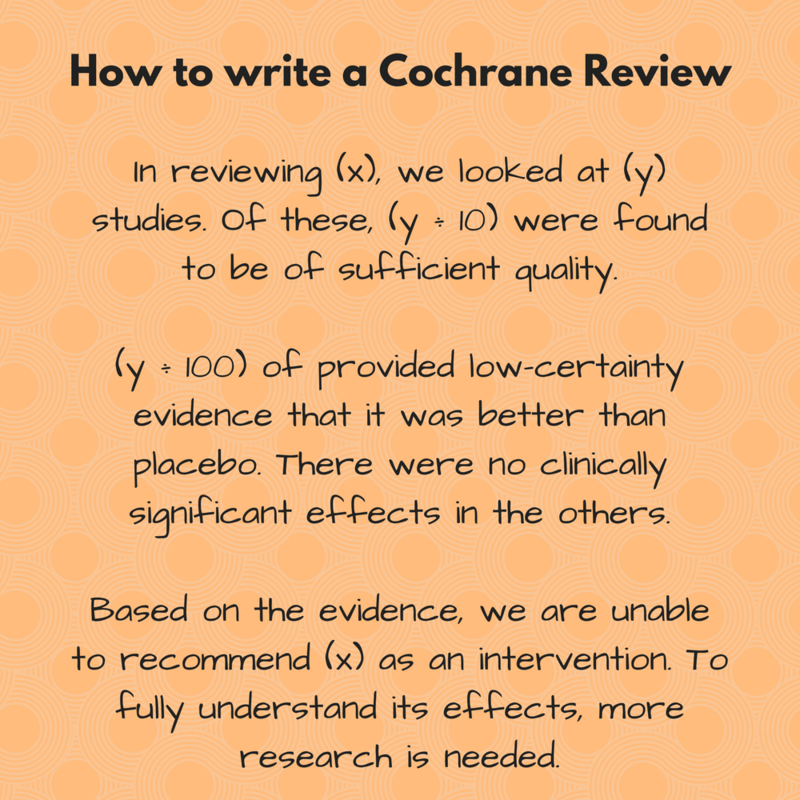 Writing a Systematic Review for Cochrane is not difficult. Simply take a large amount of studies, explain why most of them are rubbish, point out that those that remain don’t provide enough evidence it works and finish by saying more research is needed to understand the impact on anyone who isn’t a young white undergraduate. Simply insert your variables you are away. 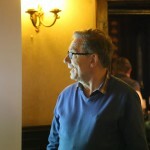 Happy meta-analysising! This entry was posted on Tuesday, September 26th, 2017 at 11:00 am and is filed under Science. You can follow any responses to this entry through the RSS 2.0 feed. Both comments and pings are currently closed.